Research at integrates the broad research expertise from across the University of Michigan’s Ann Arbor campus. Faculty and students from the College of Engineering, Medical School, College of Pharmacy, School of Dentistry, and the College of Literature, Science, and the Arts interface together to rapidly create new knowledge and technologies. With over $1 billion in annual research expenditure, the breadth of ideas, capabilities, and facilities across the UM campus is unmatched. To promote collaborations between BI researchers and the greater UM community as well as industrial partners, BI hosts BI Challenges. Challenges are thematic and bring together BI researchers with a broad range of faculty from other UM departments and industrial partners to address a pressing biomedical topic. The Challenges are often organized in collaboration with an industry partner, academic unit or research institute. BI Challenges embrace a highly interactive format through breakout sessions, where researchers are expected to actively contribute ideas and approaches and generate new collaboration or research topics in the thematic area. Next Generation Cancer Therapies (in collaboration with the Comprehensive Cancer Center). Seed Funding: To promote and accelerate interdisciplinary collaborations that emerge out of the Challenges, a seed fund competition is run in conjunction with each Challenge, and is restricted to Challenge teams that include non-BI members. BI provides financial support as well as access to BI facilities to proposals that address new research ideas with high potential for impact, follow-on funding and in topical alignment with the Challenge. To date, BI has distributed $1.2 million in seed funds to 17 successful research teams at 6 Challenges. The Biointerfaces Institute also promotes the translation of the discoveries and innovations made by its faculty to the clinic and for commercial use. 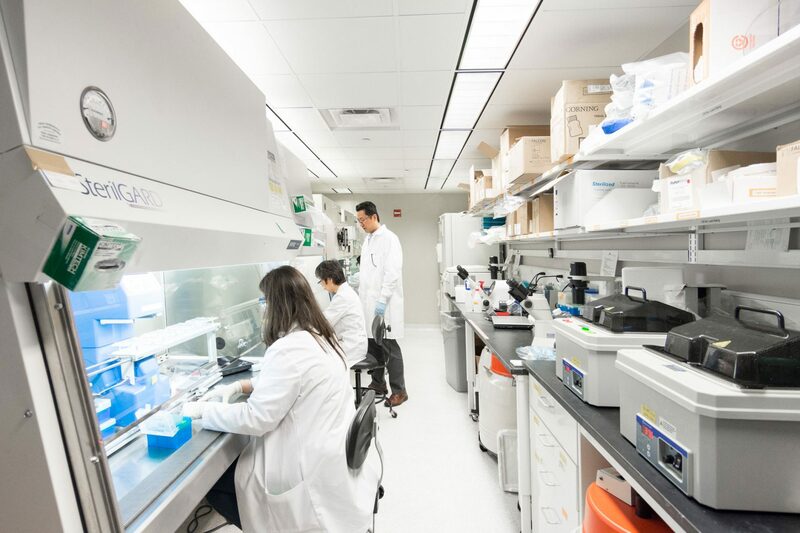 In addition to designation of an Integration Space, the Biointerface Institute takes advantage of its proximity to the office of technology transfer, resident commercialization mentors, startup incubator space, as well as an outstanding business school in these activities. The Institute also has close collaborations with industry through joint workshops, grants, and collaborations.